There are 12219 posts in this topic. You are on page 240 of 245. 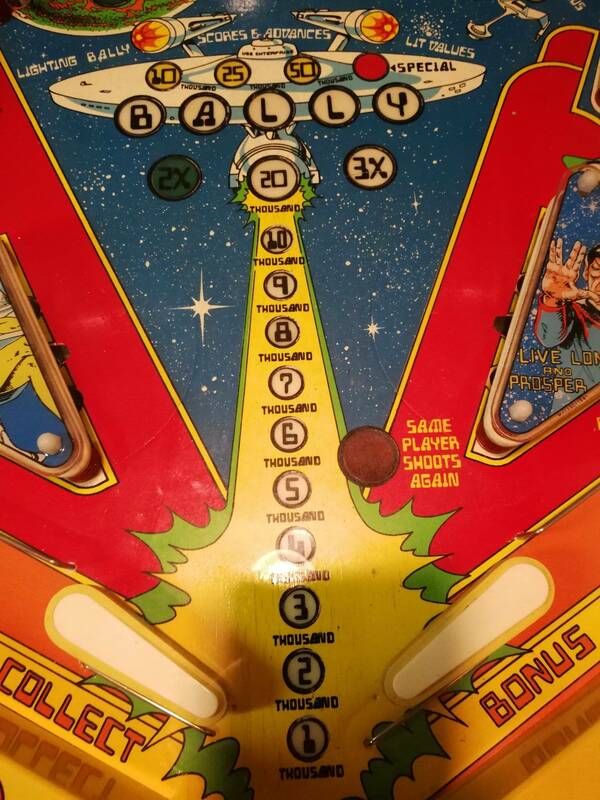 Anyone have a project Bally SS Beat the Clock? While we are asking, does anyone have a medieval madness project for sale? 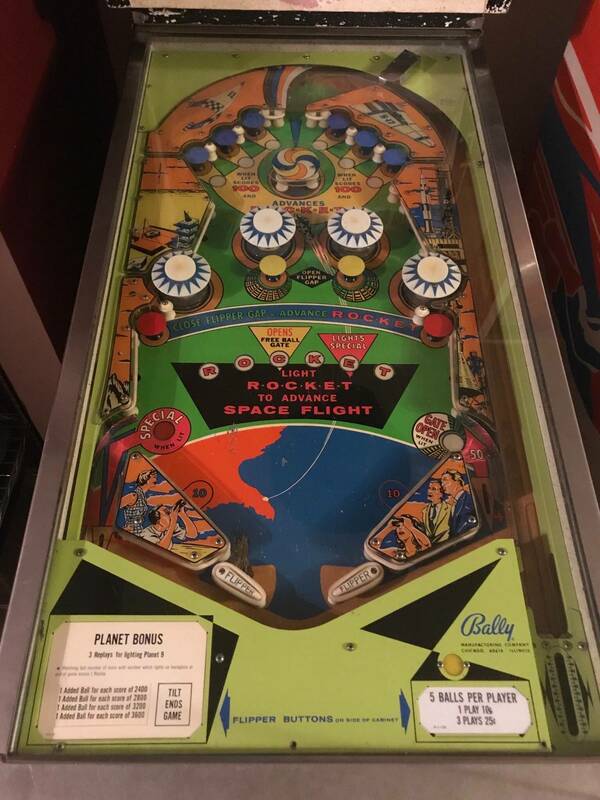 OP: 1984 space shuttle pinball machine. 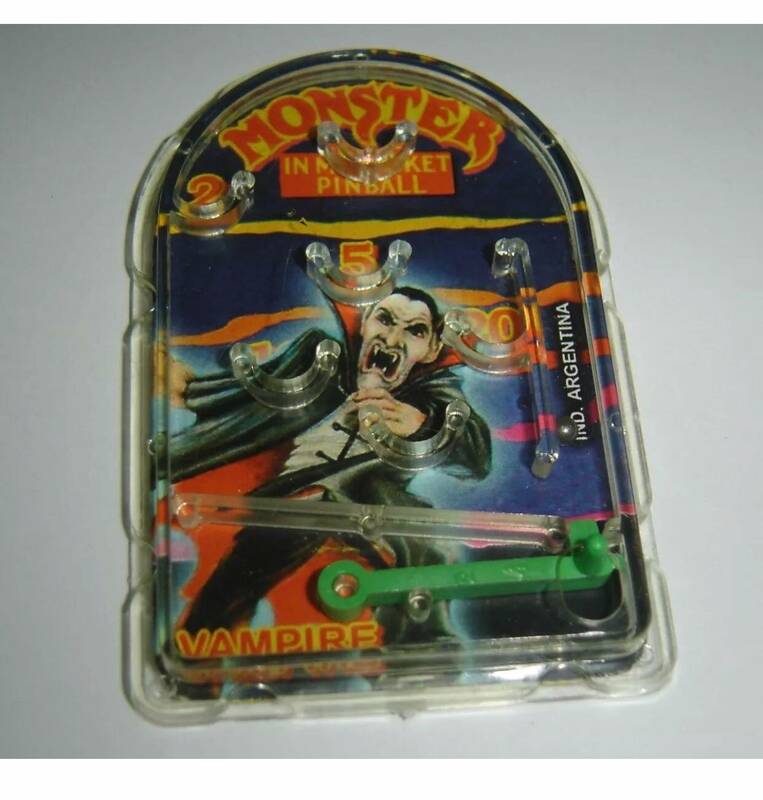 Comes with NOS plastics. And original docs. See pics. Sometimes it works, sometimes it doesn't. There is something wrong with the crystal I think. I bought it 20 years ago thinking I would restore it. Life happens and I never had the time. Lots of play field wear. Back glass is in great condition. I'm moving SO MAKE ME AN OFFER ! I need this gone ! It won't be available for pickup until March 26, 2019. 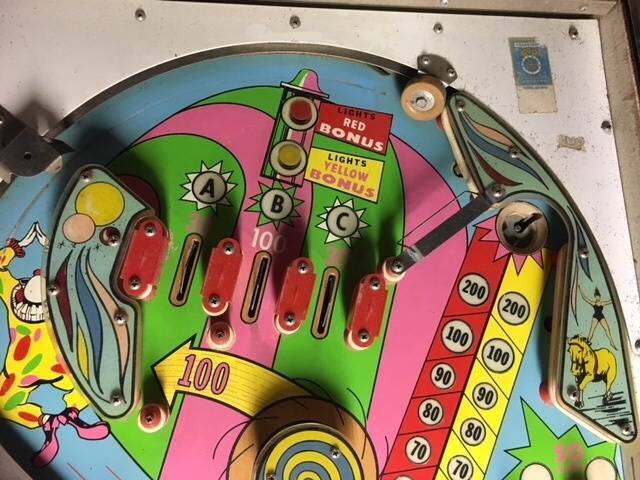 Me: Center of playfield has a a LOT of wear. This would be a perfect candidate for a hardtop. 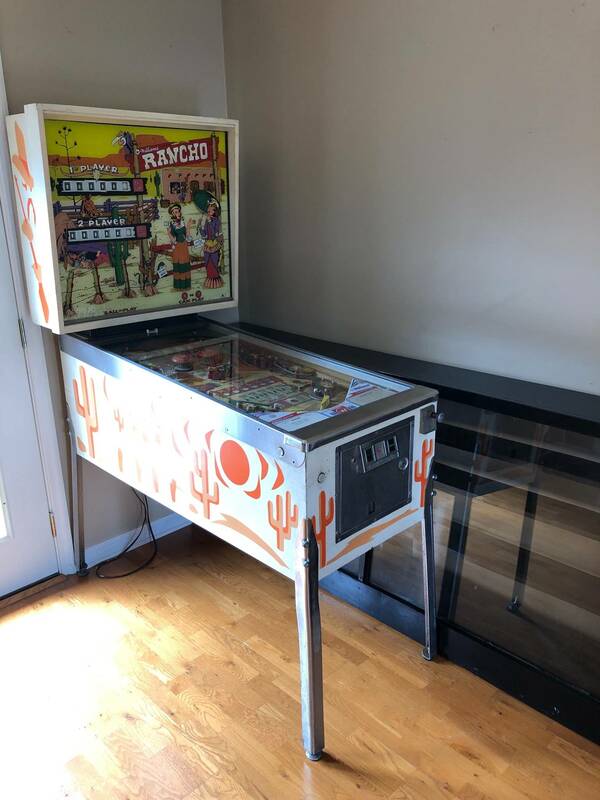 OP: I have a nice Aladdin's Castle for sale. It was recently shopped and it plays great with no errors. 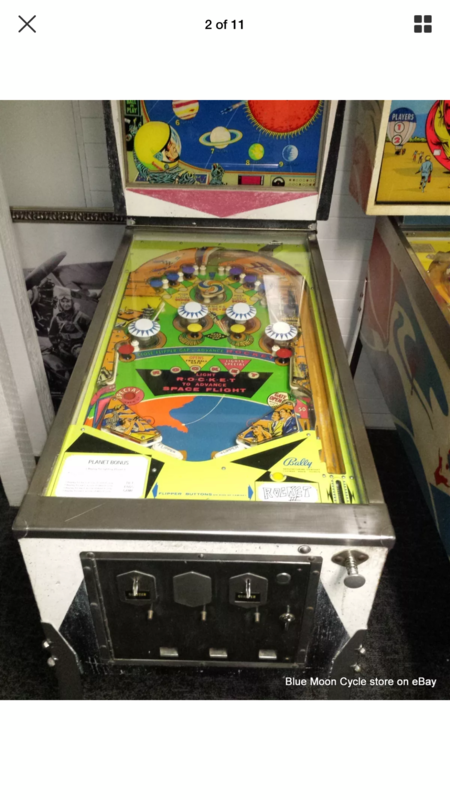 It has a really nice original cab. The backglass looks really good and was sealed by the previous owner with Triple Thick. There are 3 small areas (smaller than a dime) that were touched up after it was sealed, so they would be easy to redo for someone with more talent than me. Machine has warm white LED's throughout. 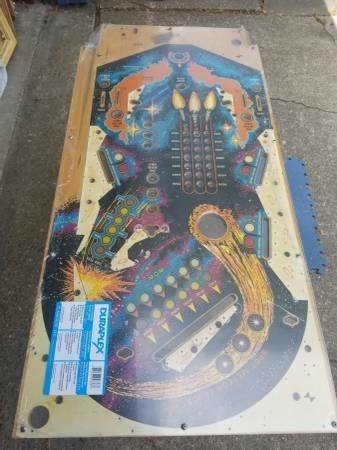 The playfield has great color and very little wear, but there is some planking. It plays fast! I live 10 miles from TPF and I would be happy to deliver the machine there for a buyer. OP: These are as is. No additional parts. No back boxes. Legs for only one cabinet and one has the glass. Don’t know if they work. Never plugged in. But I would say no. 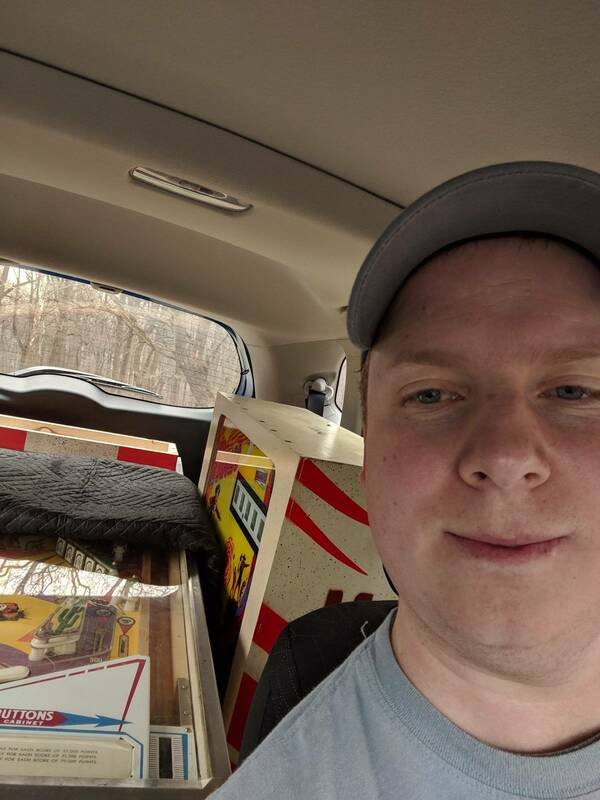 Was going to take out the play fields and hang them or make a table for my game room. But I’m out of space. I’m not into EMs anyway. Picked these up when buying another machine. No shipping. As is. $100 for the pair. Prefer to sell together. 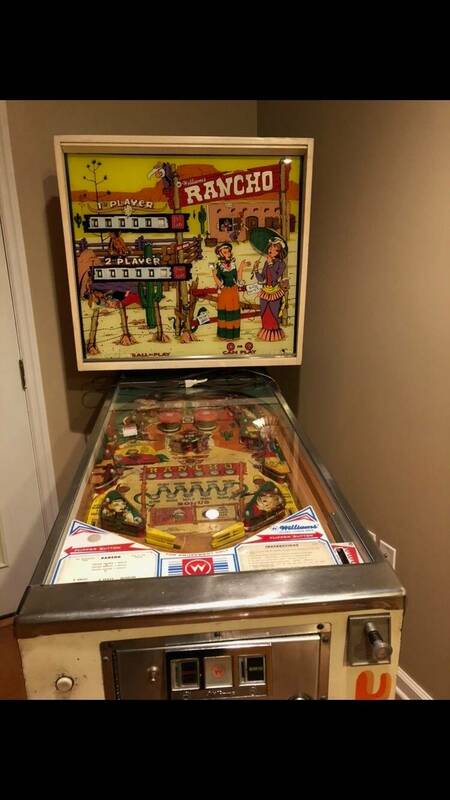 Bingo and a 1963 Chicago Coin Bronco. 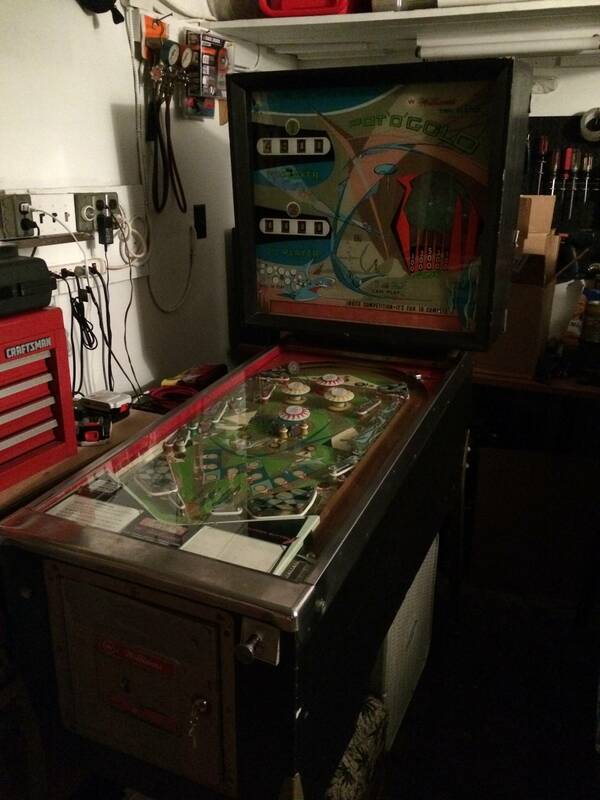 OP: Up for auction is a project Hollywood Heat pinball machine project. The game powers on and starts up. The two problems that I am aware of... 1.) the solenoid that kicks the ball out at the beginning of the game is locked up and will not send the ball out. 2.) the upper left flipper does not work (I believe this is because of a broken flipper link). 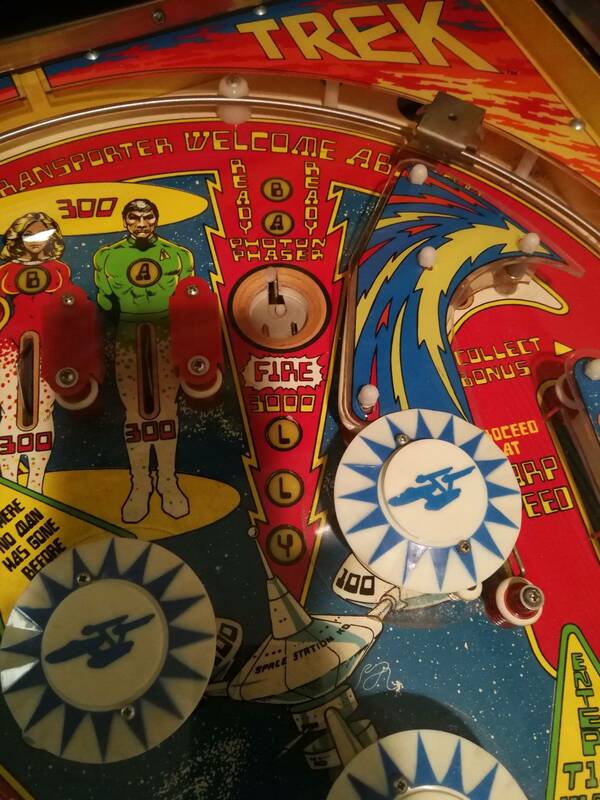 The playfield needs cleaning, new rubbers, and a few bulbs need to be replaced but no major problems. As far as I am aware, all of the boards are in good condition. Please let me know if you have any questions or if you would like to see more pictures. 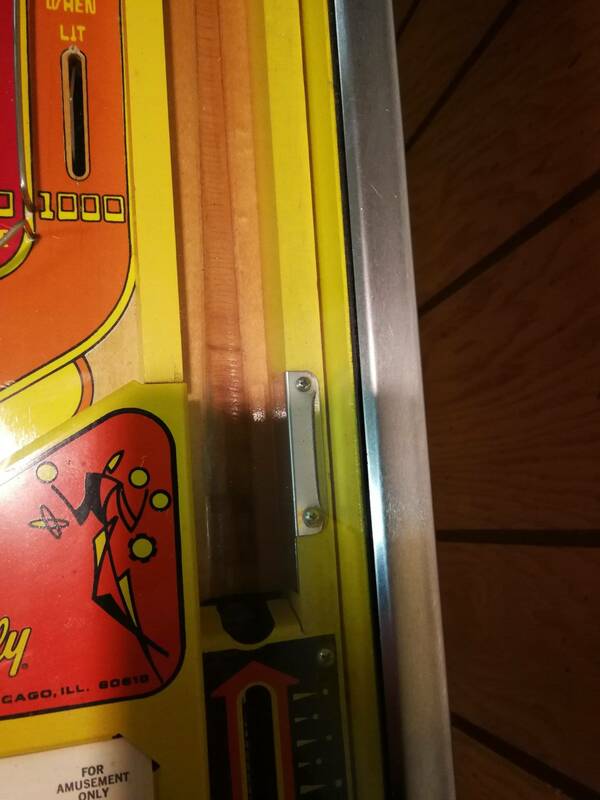 This machine is being sold as-is. 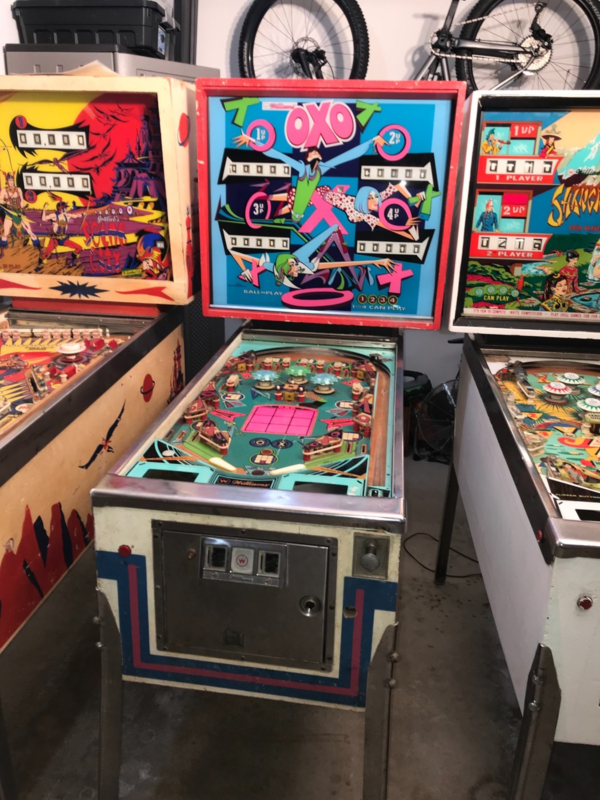 OP: I have 5 older style pinball machines for sale. All are in excellant working condition and are in very good shape. One is a single player, one is a two player and three are four players. Manufacturers are Williams, Bally and Gottlieb. Games are Hot Line, Pat Hand, Outer Space, Old Chicago and Air Aces. I would like to get $175 each or $800 for all of them. Please be aware that these are in a basement and will have to be moved out by the buyer. bluespin shouldn’t you be on an airplane about now.....LOL! I'm at work until 11:00. Post is sandwiched between two great finds - nice! That is a great deal. 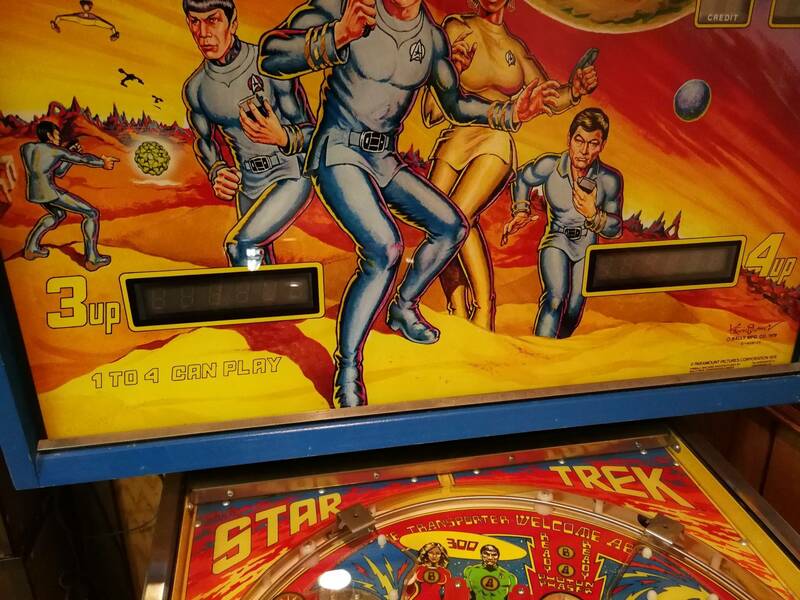 Wish i wouldnt have just blown all my pinball money! 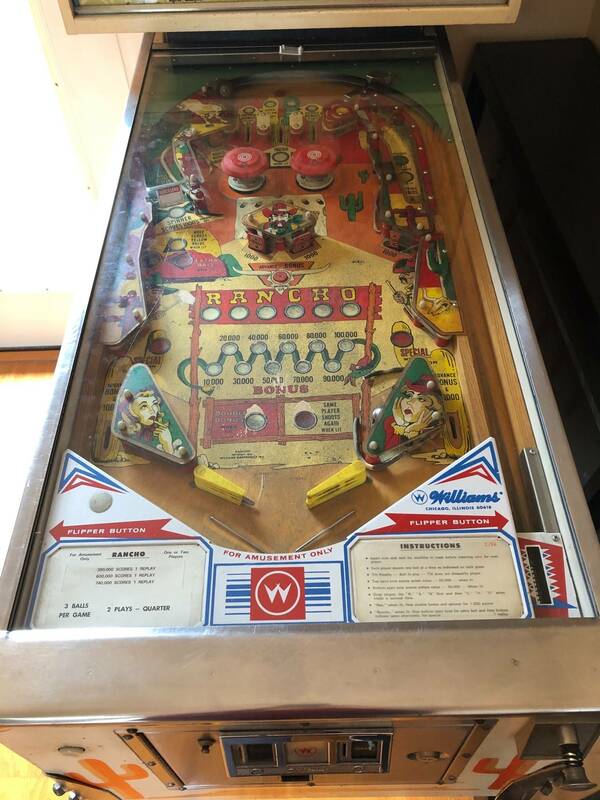 You can play Bobby's "holbrook" restoration wiggler at TPF. Im sure you could pick up the project wiggler there as well...and tell him about your bait and switch theory. Thanks for letting me know. I'll give it a play. I got to play this pin yesterday during setup. It is a super playing EM. I was surprised at how snappy the play action was. Keith has done a fantastic job on this one. 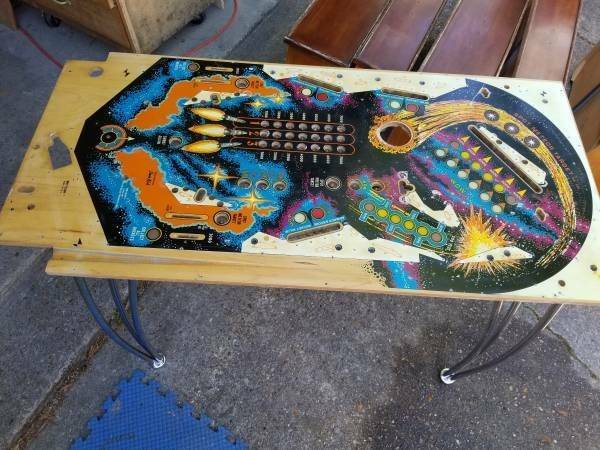 I'm not looking for a project but anybody who is looking for a project might want to look into it. Anybody in TN willing to grab this and ship the glass to me? Could use it for my project FS. Hopefully the guy would accept slightly less than $175. They want $4200 firm. Said if didn't sell, sons would keep. I'm fairly certain this machine is huo. It's pretty mint. Everything is there, including all paper, coinbox inserts, etc. Even the furniture glides on the back were original with most of the yellow paint not scuffed off. Serial number 1505 I think? Segments out on credit display, but no burns on display. Bg looked excellent (didn't remove, but saw no scratches or peeling from front). Playfield very good, little cupping. Even if HUO, at that price looks like the sons are the happy new owners of a Star Trek pin. Yeah, they wouldn't even accept my $1200 bid. Hi Speed? No pics? Scam? I reached out to him very quickly, but i suppose someone could have beat me to it. No idea that tx was a project you lucky dog! “Caller number 2” is still super jealous!!! But I’m glad it went to someone who truly loves the hobby. It’s just proof that there are still super great deals on projects out there. You just have to be diligent and always ready. bluespin have fun at TPF this weekend and all other pinsideders; out and about at TPF. No no I was caller number 2 lol. It was an inside joke to bluespin. I ribbed him a bit as a joke about beating me to it when he first got it. It’s all part of the hunt. Sorry for any confusion on that. 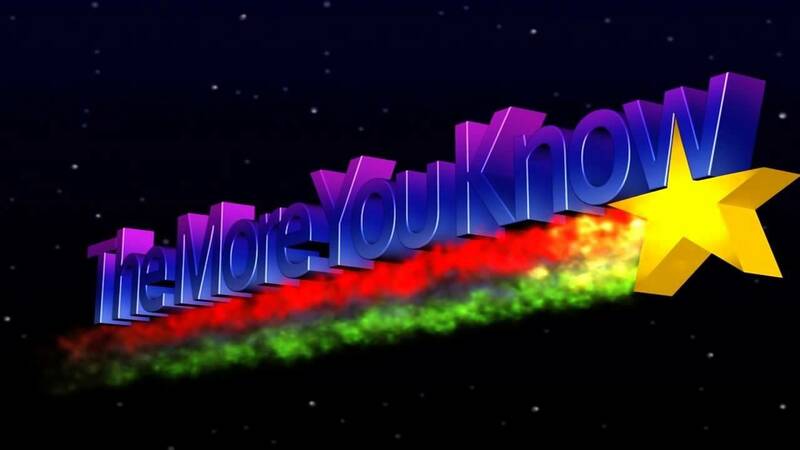 For instance though on the speed it requires to obtain a deal like the TX. I responded to the ad within five minutes of the original post to craigslist. It was actually email response only and no phone number was given. I offered almost ten times original asking in my initial email to prove I was serious and was promptly told the machine was spoken for. I replied to the email and told them congrats on the sale and moved on. Bluespin must have been the first caller as he got it and honestly I am happy he did. He spends countless hours posting project machines for sale on here and as a result he deserves to pick up the win like that. Sure, it is frustrating to miss out on a deal but that’s just part of the game. Just as he mentioned above, I too have scored tons of great projects over the years and I know they are still out there. I pick them up all the time. It just takes time and speed. You got to have cash on hand and be ready to leave at the drop of a hat. Keep plugging away at them and you’ll find them. FYI I just had shoulder surgery yesterday and I’m a bit out of today on the meds so none of that may have made sense lol. What a standup guy right. I have had several run-ins with some really good people like that. I offered him 750 in my initial email and left it at that. He told me it was sold and I could respect that. 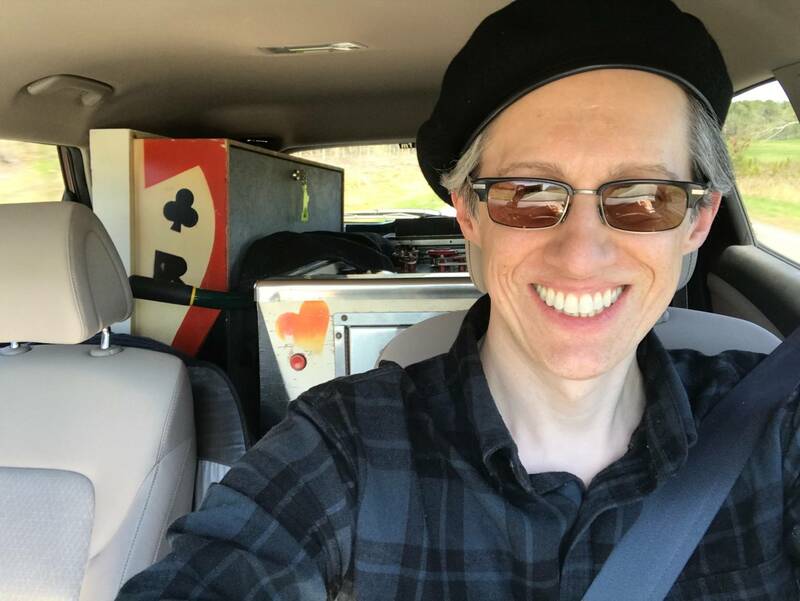 I really am glad you got it as you do provide a great service to the pinball community with this thread. 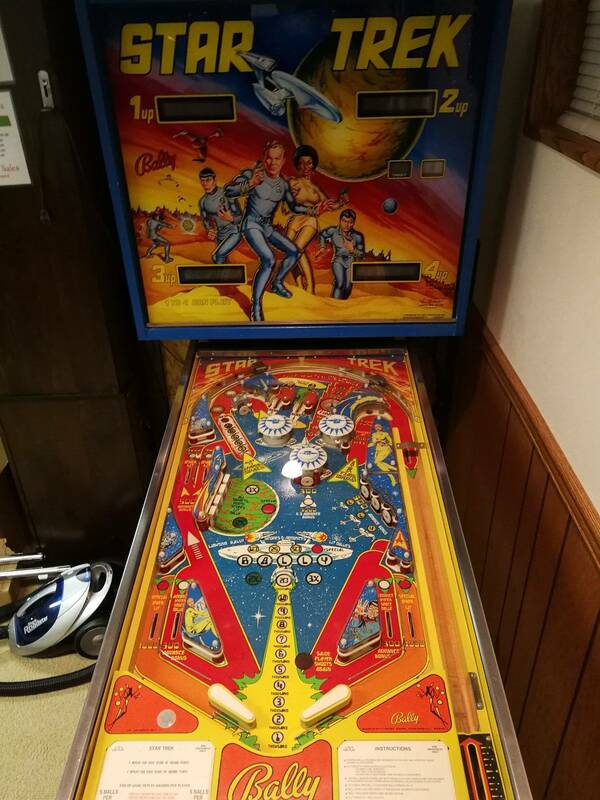 I actively search for project pinball machines daily and know that it takes a lot of time. I love this hobby and the hunt for the games is a big part of it. When it works out it feels like winning the lottery! this machine was NOT made in 2014. That is the Stern version. 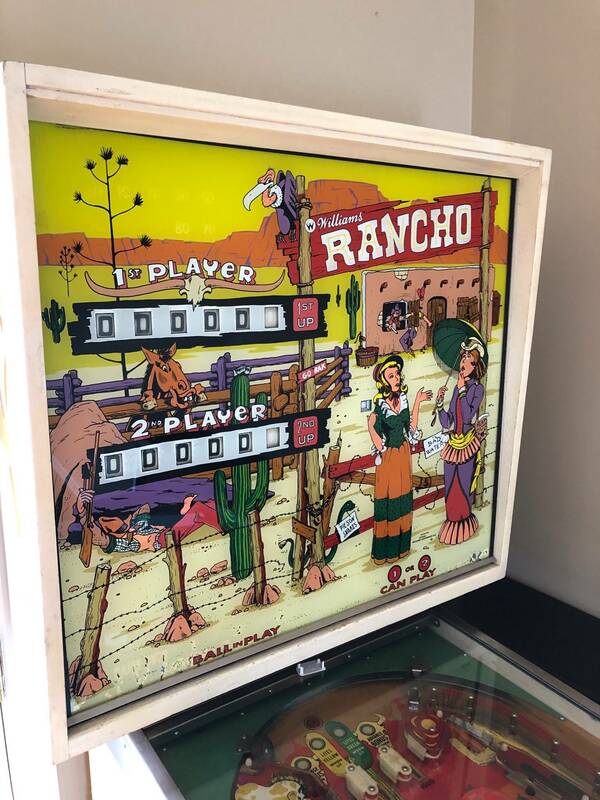 This is the Bally version made in 1979 and 1200 is a good price for it now. It was sarcasm. I believe he was quoting as if that is something the seller would say to a potential buyer. Great guy. Always awesome to meet pinsiders!! Someone show up early or offer more to undercut you? Seller went in order of response. I offered just SLIGHTLY below what the first person offered. 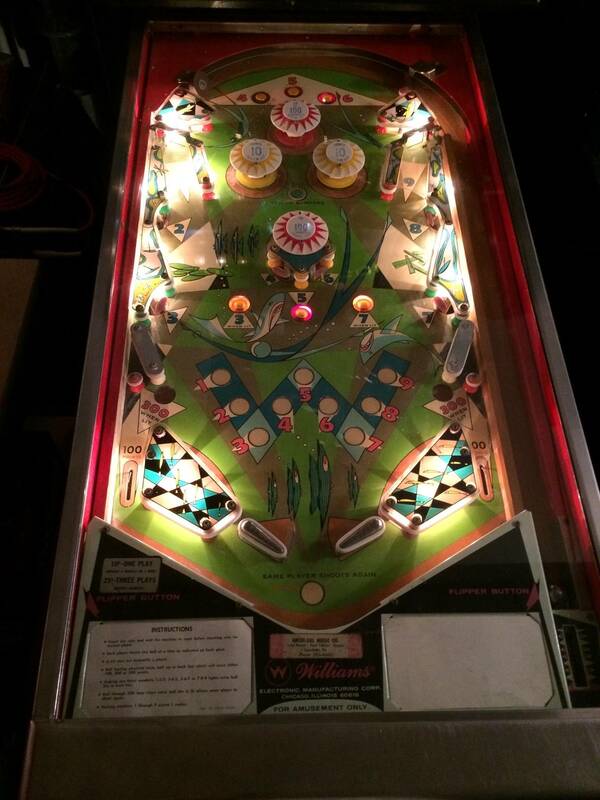 "Thanks to everyone that inquired about the pinball machines. I posted these for a neighbor. He set the asking price which was clearly too low. I was called out of town and was hit with offer 50 responses and several offers for well over the asking price. I contacted the first response (he emailed me just 12 minutes after I posted it). I told him about the higher offers and told him if he could beat the highest one that they were his. He offered more than double my asking price for the 5 of them and since he was first I felt that was more than fair."